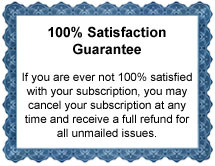 Click here to learn more about your free gifts. - a savings of 58% OFF the newsstand price! 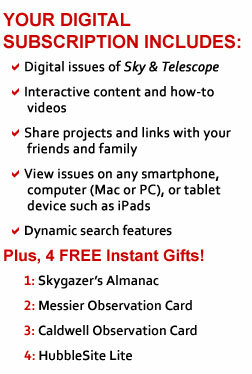 Plus, my 4 FREE Astronomy Guides will be instantly available for me to download and use today. 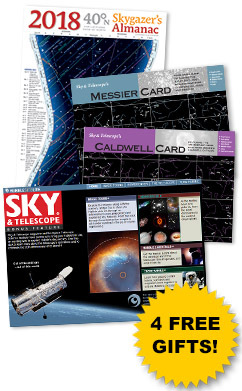 Sky & Telescope publishes 12 issues per year. Savings based on an annual newsstand price of $71.88. © F+W, Inc. All rights reserved.